How Sujan Patel's innovative growth hack resulted in $1m of sales! 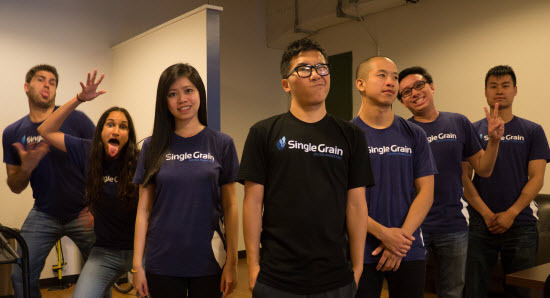 I stumbled across Sujan Patel’s great blogpost about how he generated $980,000 worth of new business for his company “Single Grain” using t-shirts. It was an amazing read, and I immediately emailed him to jump on a call to chat. And he was just as passionate about the cotton as us! I started by asking Sujan how they began with the t-shirt project. “We started hearing back from an original handful of clients who we’d given t-shirts to, and they said that they had colleagues and friends who wanted to get their hands on one, too. So after the original 15 or so t-shirts we had printed for the team and a few clients we decided to lean into it and order 50 more, which we very quickly gave away. I wanted to understand how t-shirts could be in such demand, and how they helped actually generate business. What happened from here? “At the time we were based in San Francisco so there were a ton of startups in the area. So people who got a t-shirt from us might move on to a new company or startup, and obviously take their t-shirt with them and wear it work at their new company. And that obviously helps build your brand’s visibility. It was kind of crazy. 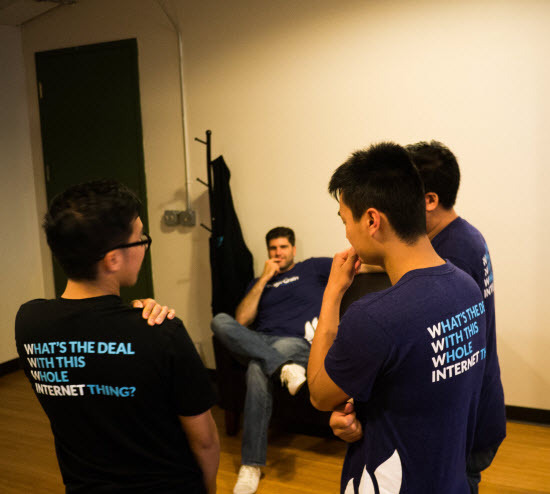 It kind of grew and we started to see shirts being worn in by people in random companies we didn’t know. We realised that because they were high quality and comfortable people would want to wear them regardless. So this mainly came from you generating great brand recognition and being “front of mind” because you’d made great t-shirts, and people just loved wearing them?
. @RossHudgens: Got your email then saw a guy randomly walking around SD with a @singlegrain t-shirt. Retargeting to a whole new level. How did you get them out there? And how did it result in so much business? “Basically we would just give them away to people we knew. Our goal was to get it in the hands of relevant marketers and founders, but really I just gave them away to people I had coffee or lunch with. I’d always carry a few with me, but if I didn’t have one to hand I would just mail one to them afterwards. Many times I would hear from people on the phone that they recognised our name from having seen it on a t-shirt, or had been persuaded to give us a go because of receiving one. We had a few clients in SF at that point but when I would talk to potential new customers on the phone, they would say they’d heard of us. And they’d heard of us through someone who’d received one of our t-shirts. These people that we’d given t-shirts to had become our advocates! Also, the shirts created really strong brand recognition. People sometimes didn’t know how they’d heard of us, but when we dug deeper we could often trace it back to them being around someone who did have a t-shirt. It wasn’t 100% scientific, but we could definitely trace it. This must have taken a huge amount of time? “It wasn’t too bad. Once we got to the point of offering them to everyone who was a subscriber to our newsletter it became a much bigger task. In fact, we sent out thousands and thousands of shirts. 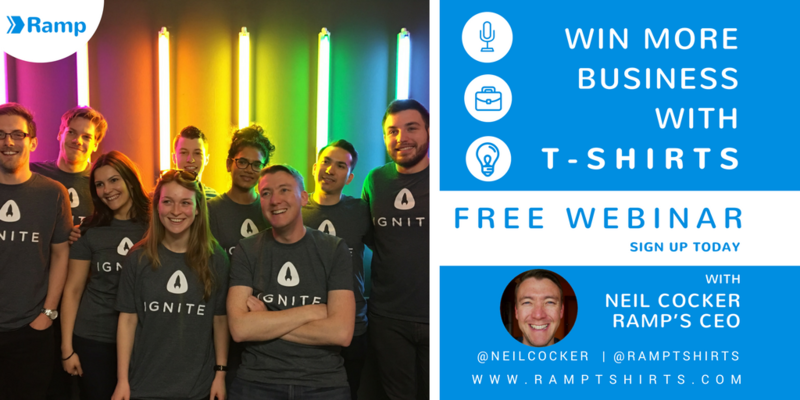 Our team on a Fri would just go pack a bunch of shirts over lunch. It was almost a teambuilding exercise! Why do you consider them an incentive? “People like free shirts. In fact, people like free anything! But shirts from a brand they resonate with have much more value than most things. I think people are happy to represent a brand that they’re happy with.They want to advocate what they’re familiar with. Your blog says that you generated nearly $1 million in sales from giving away the t-shirts. That’s an incredible amount of revenue! Did you calculate any exact return on investment, or customer acquisition cost? “We didn’t really calculate the exact details. And as I mentioned, it wasn’t always easy to trace an exact route from seeing one of our t-shirts to becoming a customer of Single Grain. They weren’t trackable like a Facebook ad. But we know that they drove that business to us. Plus, the increased brand recognition was worth it alone. The reality is that you can sometimes feel the value of your merch when you’re wearing it. I’ve been doing this for years now, and I know it works. I wore one of my current company’s hoodies at a conference in London a while back, and the guy next to me started talking to me, asking me how I got my Web Profits merch. It was amazing to be able to tell him I was the co-founder, and have a great conversation with him about what we do. As we wrapped up our conversation, one thing Sujan said to me is still rattling round my brain. You can read our top tips in full for getting more customers over on this recent blog post here (warning: contains photo of my wallet! ), but in the meantime you can get an instant price on great quality t-shirts from our site right here. At the time of writing, you can get 100 great quality t-shirts from as little as £3.66 / €4.40 / $5.65 each. Start now to delight your customers, and get new ones! If you want to read Sujan’s great blog about how he made money with t-shirts, the original is here. You can find Sujan on Facebook, Twitter or his homepage, SujanPatel.com. Also check out his latest company, Web Profits. Next Next post: Should I open a custom t-shirt store?